Tech recruiting has become extremely difficult as recruiters worldwide are struggling to find skilled candidates. According to the Bureau of Labor Statistics projections, by 2026 the demand for software developers will grow almost 3.5 times faster than that of other occupations. This means tech recruiting is only going to get more competitive as time goes by. All of these insights are backed by industry data from Stack Overflow, GitHub, Dice, and Devskiller. Now that we know what developers expect to hear from you, let’s look at the best way to reach them. Stack Overflow survey data shows that developers would like to be emailed to their private addresses (63.9%). Only 13.7% prefer to be telephoned. Companies worldwide do various amounts of international tech recruiting, either outsourcing, employing people to work remotely (though not as a third party), or for relocation purposes. With that in mind, it’s worth looking at the Devskiller Global Technical Hiring and Skills Report 2019 data to discover countries with high coding test scores. While the average score for all candidates globally is 40.71%, the average for New Zealand developers is 54.66%. The Netherlands comes second with 53.58%, followed by Russia (50.14%). When considering a job move, developers want to know which technologies they’d be working with. Make sure to communicate this as early as possible to attract their attention. Here’s an example of a YouGov developer job ad from Stack Overflow. As you can see, YouGov communicates the skills they’re looking for very clearly and early on. Tech recruiting has long been the subject of a heated debate, with developers complaining about the ineffective screening and interview process based on pen and paper tasks, whiteboard quizzes, and random questions. One question that garners much frustration is the infamous “Tell me about HTML”. Has this collective negative experience turned developers against all forms of coding skills assessment? Luckily, the answer is “no”. Are developers willing to invest time in a pre-employment assessment? Research by Devskiller shows that they are. A full 73% of technical candidates complete a coding test sent to them for tech recruiting purposes, regardless of their level of advancement. What is more, a whopping 92% of those who start solving a test will take the time to complete it. The coding test completion rate is almost universal in Latvia (98%), Armenia (97%), Denmark (96%), New Zealand (95%), and the UK (92%). From the perspective of the recruiter, this is great news because it shows that as a professional group, developers are not opposed to the idea of a coding skills assessment. In fact, developers are willing to undergo technical screening as long as it’s executed in the right way. What they don’t appreciate is having their skills assessed with outdated and ineffective methods like the infamous whiteboard interview testing. This data suggests that with the right methodology, you can screen technical skills without depleting your talent pool. • graded with scores and not on a pass/fail. Knowing how popular certain skills are allows you to decide where you want to focus your efforts or be more flexible with some of your candidates in terms of pay or benefits. Developers typically have tasks and projects lined up. According to Stack Overflow, despite having their hands full at work, they also code as a hobby. In fact, 80% code outside of work and 56% contribute to open source. Data from GitHub looking at weekly activity across repositories shows that developer contributions to public and open source repositories happen well into the weekend. However, when the work week ends, they are less active in private repositories. This means the weekend is a well-deserved break for many developers who take this time to recharge and work on their own projects. Similar to open source contributions, sitting a coding test is less likely to happen over the weekend. Candidates wait on average 2.88 days to complete a coding test, but not all days of the week are equal. Coding tests sent on Tuesdays tend to get the fastest response and those sent on Wednesdays typically take the longest to be completed. The “interview” is the #1 word used by developers to describe the exhausting part of job searching. In other words, the interview room is where companies typically make the most mistakes. It’s also where they have the most room for improvement. 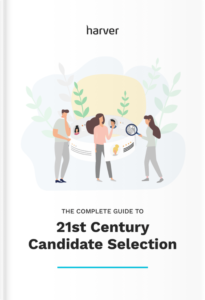 Being able to preselect your candidates with technical screening software and asking relevant questions allows you to limit the number of face to face interviews without sabotaging your hiring results. Having fewer interviews only with viable candidates saves the time of both the IT and the HR team. Nobody communicates what you do better than your IT team. Encourage them to speak at conferences, meetups, and other industry events to get the message about how you do things at your company out there. In the words of Art Zeile, CEO of DHI Group, Inc., “…technology is an important driving force behind innovation and most every company will be a tech company at its core in the future. How we incentivize our tech talent will define our business success”. Amen to that. When it comes to incentives, nothing beats a good paycheck. The 2019 Dice Salary Report states that this year, 45% of all tech professionals anticipate changing employers. A staggering 68% of them want to do so in order to receive better compensation. 47% look for better working conditions and a further 34% want more responsibility. From the perspective of the employer, this means you may need to be more flexible when it comes to negotiating pay, both with candidates and current employees. Interestingly, salary satisfaction in tech has been declining steadily since 2012. This means tech professionals are likely to talk to you if the salary you offer is fair and in accordance with the industry standards. Not sure how to figure out how much you should be paying them? Use this Dice salary calculator. Let’s talk retention, shall we? Given the historically low unemployment rate in tech, both attracting AND retaining technical talent is now a challenge. That’s simply because there aren’t enough skilled employees out there to fill all the open positions. Losing a good employee puts your organization under pressure and creates huge productivity losses. The question is then, how to make your employees stay? According to the Dice report, training and education are the #1 benefit tech pros find important (71%). That said, only 40% currently have access to them. What’s shocking is despite being so valued by developers, training and certification are used as motivators to retain talent by a mere 3% of employers. This makes training and certification a great key differentiator among all employee benefits. The waters of tech recruiting are difficult to navigate and it doesn’t seem like this is going to change anytime soon. To get a head start, make sure to follow industry leaders and familiarize yourself with industry benchmarks about what your peers are doing. The key to success is in your tech recruiting strategy. Good luck! Tom Winter is the CRO at Devskiller, a developer screening & online interviews platform powered by RealLifeTesting™. Madly in love with everything tech, Tom specializes in streamlining the hiring process of tech talent and data-driven recruitment. He’s also an avid conference speaker.